Emotions took the centre stage yesterday as the national leadership of the Peoples Democratic Party (PDP) led by its National Chairman, Uche Secondus, paid a condolence visit to the family of late former Vice President, Dr. Alex Ifeanyichukwu Ekwueme. The party leaders described Ekwueme as a detribalized Nigerian and a democrat par excellence. 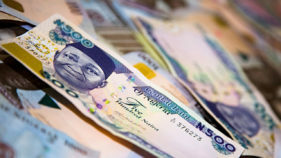 The PDP entourage, which included Enugu State Governor, Ifeanyi Ugwuanyi, BOT Chairman, Senator Wali Jubril, former Senate President Adolphus Wabara, former governor of Plateau State, Jonah Jang, former Deputy Speaker Emeka Ihedioha, former Minister of Aviation, Mrs. Kema Chikwe among others were received at Ekwueme’s Enugu residence at about 2:30 pm by former national chairman of the party, Dr. Okwesilieze Nwodo and members of the bereaved family led by Ekwueme’s daughter, Mrs. Chidi Ekwueme Onyemulukwe. 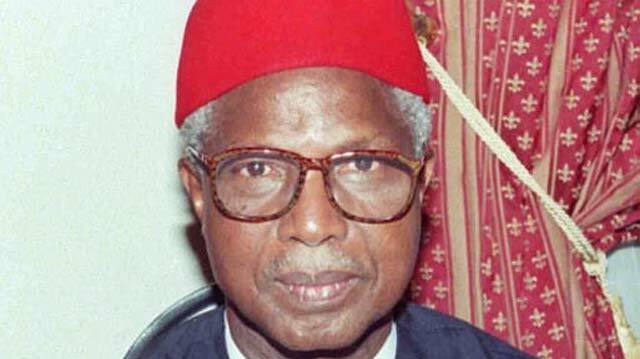 Describing Ekwueme as a “fearless, peaceful and detribalized Nigerian,” he said that his contribution for development and unity of the country ensured a return to democracy, stressing that all would miss him. Senator Jubril, while praying God to receive the soul of Ekwueme said he served with so much commitment and compassion and that his memories would remain evergreen in the annals of the party’s history. Responding on behalf of the family, Ekwueme’s daughter said her father was a core party man and advised the leadership of the party to continue to abide by the virtues which he represented while he lived. “We have heard very good things about him. In the early days of the PDP, I did a lot of typing with the PDP constitution.